Tragic news, movie fans. 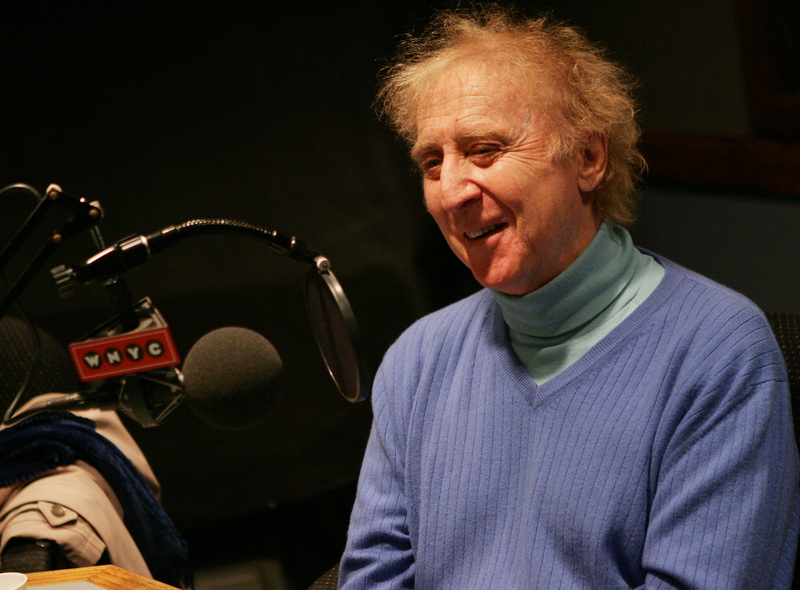 On-screen legend Gene Wilder has died, according to the AP. In a tweet posted on Monday, Aug. 29, the outlet reported that Wilder, the actor remembered best for portraying Willy Wonka in the 1971 film, had passed away. According to Variety, Wilder's nephew Jordan Walker-Pearlman reported that the star died of complications from Alzheimer’s disease. He was 83. Wilder was a beloved comic actor, having appeared in classics ranging from The Producers to Blazing Saddles, to, of course, Willy Wonka and the Chocolate Factory, in which he played the eponymous chocolate maker. He was noted for his collaborations with Mel Brooks and Richard Pryor, and his work earned him two Oscar nominations over the course of the career, for The Producers and Young Frankenstein, the latter of which was for screenwriting. In recent years, fans might also remember his work appearing on Will & Grace in the early 2000s, for which he won an Emmy. But to many fans, Wilder is best known for Willy Wonka. The 1971 film was not an instant classic upon release, but it's become a cult classic over the years, and is now considered one of the most beloved — if wacky — children's movies ever. Wilder won raves for his performance as the chocolatier, as well as a Golden Globe nomination for Best Actor in a Musical or Comedy. Wilder was also a director, having made his debut with 1975's The Adventure of Sherlock Holmes' Smarter Brother. He later directed several other films, including 1984's The Woman in Red, which co-starred his future wife, Gilda Radnor. The two were married from 1984 until Radnor's death from ovarian cancer in 1989. After her passing, Wilder helped found Gilda's Club, a cancer support group. In 1991, Wilder married Karen Webb, a clinical supervisor for the New York League for the Hard of Hearing who had helped Wilder learn lip reading in order to play a deaf man in the film See No Evil, Hear No Evil. In addition to his work in Hollywood, Wilder was also an author, writing a 2005 memoir and several works of fiction. His last book was the novella Something to Remember You By: A Perilous Romance, released in 2013. Wilder was a force on-screen and off-, and he'll be dearly missed by all. Editor's Note: This article previously stated that Wilder appeared in an episode of Yo Gabba Gabba!, when that was not the case.